A premier educational institution providing quality education to students around the region. With excellent infrastructure, the school takes pride in providing an environment promoting the progress of the students. The school also provides transportation for its students coming from different locations. Trinetra improved the educational institution’s day-to-day school bus operations by helping them monitor and manage the fleet. With Trinetra installed in their school buses, they can now easily track the movement of all the buses and also receive alerts for violations such as idling for more than 15 minutes, braking, acceleration and speeding through email and SMS. Trinetra also makes it simple for the school to help identify misused vehicles, unauthorized trips or entry into areas that the vehicles are not permitted. Additional security measures such as Biometric and RFID integration are implemented to track the entry and exit of students from the school bus. 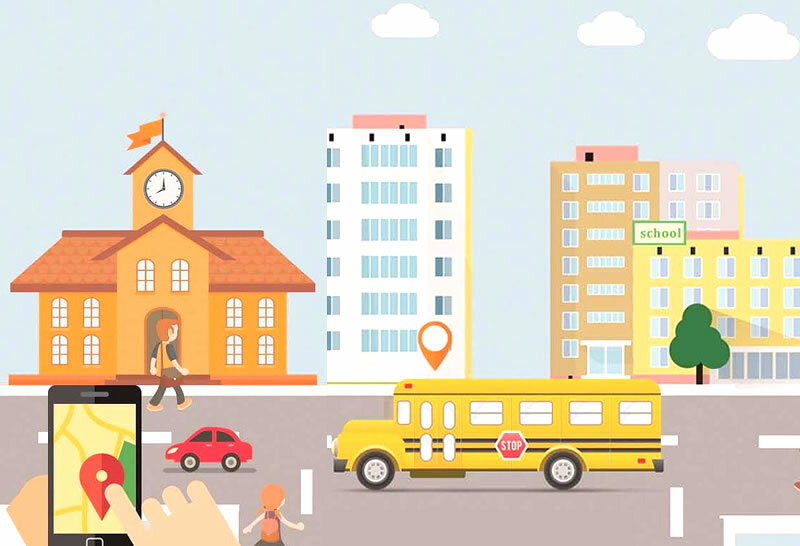 With Trinetra on its side, the school can now handle parental concerns immediately; respond to emergencies or bus breakdowns by locating the nearest vehicle available for assistance and increase driver accountability. The Fleet Maintenance module is an additional benefit for the institution that helps in extending vehicle life.